Please be respectful at each cache location. All participants must understand that geocaching and other outdoor activities involve risk to both persons and property. 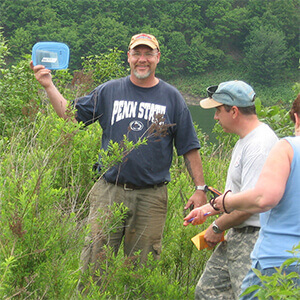 Visit Clearfield County offers five trails for your next geocaching adventure. Use our CCGT passport to collect 25 codes found within each cache on any of our trails and redeem it for a collectible geocoin. If you complete all five CCGT trails and have your passport validated, you will receive a trackable geocoin. Take a step back in time on the Forgotten Clearfield County Geotrail or pay tribute to those who have served and currently serve on our Hometown Heroes Geotrail. Our Waterways Geotrail reveals a new fishing spot and hidden streams that feed the West Branch of the Susquehanna River. If you're looking to explore the wilderness, try our Parks and Recreation Geotrail, which is sure to give you a breath of fresh air. 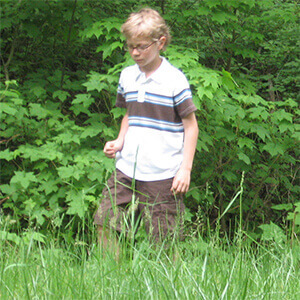 Our oldest geotrail, Cemeteries leads geocachers to large, small, and hidden plots. Never geocached before, but intrigued by the idea? Pick up our Clearfield County Geotrail Passport at various locations and start looking for one of 150geocaches. Our geocaches are truly in the backwoods. backroads. backwaters. that will take you to places you have never been. Collect 25 stamps or codes from each geotrail, then turn in your passport to receive a wooden geocoin. Visit our website http://visitclearfieldcounty.org/geocaching for the details. On February 3rd 2018, Visit Clearfield County's GeoTrail became and official GeoTour! That means that our GeoTrail/Tour is now World Wide! Visit our official GeoTour page by visiting https://www.geocaching.com/play/geotours/clearfield-county. An expert geocacher could complete a geotrail in a weekend, a leisure geoacher could take several weeks to months. Choose your own pace to complete each one. For weekend hunters-plan your trail ahead of time to maximize your collection speed. Create loops so you don't backtrack. Be sure to book your hotel room ahead of time. For leisure cache seekers - take your time picking up a few geocaches throughout the weeks/months. Explore the area around the geocaches to obtain the full experience of the county. Clearfield County is full of old and historical locations, buildings and remnants of bygone eras. Learn about our county's rich history through mining, ghost towns, abandoned cemeteries, Civil War uprising and its Native American presence. Take a step back in time and remember the forgotten people, places and things that make up the fabric of our county. Recommended Path: This geotrail is spread out across the county, but contains a few clustered areas. The largest cluster can be found by following SR 879 (Karthaus to Curwensville), SR 969 (Curwensville to Bells Landing) and U.S. 219 (Bells Landing to Mahaffey). Smaller clusters can be found on SR 453, SR 729 and SR 53 in the southeast portion of the county and SR 153 and SR 255 in the northwest portion. Ever noticed memorials around the county and wanted to stop but never did? Here's the chance. With this geotrail, we take you to honorary spots that have built tributes to soldiers and servicemen. Take a moment of silence and view the wonderful displays, which show respect to those who have served and died for this country. Stop by the multiple memorials in Dubois, the Doughboy Statute in Curwensville, Burnside firefighter tribute, salute to volunteers in grass flats and several recognitions at VFW Posts. Thank a veteran or servicemen if you see any along the way. Recommended Path: This geotrail contains geocaches all over the county, but there is a larger focus in the southern county which creates a u pattern. The best path is to start near Curwensville or Woodland and travel north to catch the few then travel south. You'll find many through small towns and villages with the majority in the southeastern corner. If you're a water loving person, you are going to want to do this one. We are excited to show you all the active wet n' wild waterways new or old. This geotrail takes you from the largest rivers and lakes to the smallest creeks and ponds. Find a new location to kayak or go tubing along the Susquehanna River West Branch. Don't forget your camera, you're going to need it to catch cranes at Little Flipper Lake in Treasure Lake. Cool off during the summer by wading into small creeks or find that new secret location to fish. Other spots to see are: an active spring at Wopsononock Natural Area, Clearfield Creek, wetlands in State Game Lands, DuBois Reservoir and the very first night geocache along Kratzer Run. Recommended Path: The geocaches are scattered across the county this year following waterways. Best is to travel across the county in a zigzag pattern. Either start in the south and work your way north or vice versa. Work your way east/west depending on where you want to start. While you're out hiking the DuBois Walkway, biking a rails-to-trails, camping at S.B. Elliott State Park, boating the Curwensville Lake or just having a picnic at Elderberry Park, grab a geocache while you're there. The second year geotrail is just for anyone who likes to spent time outdoors. Get yourself out to some of the most popular recreation sites in the county: Memorial Parks including Curly Hurd and Mountz, Parker Dam State Park, State Game Lands #34, # 98, #331, and multiple other township/community parks throughout the county. Also, don't forget to stop by the unique Super 322 Drive-In, a historical community area since 1950. Recommended Path: Most of the geotrail geocaches are sited in a diagonal line from the northwest corner to the southeast corner. You're best to start near DuBois and follow the geocaches southeast to Clearfield. From there, head south to Glenn Hope to pick up the rest in the area. What? Cemeteries? Isn't that creepy? Believe it or not it's really neat. See famous and forgotten cemeteries around the county some with incredible history. Guarantee you will stumble upon a favorite by the end of the geotrail. Most of the cemeteries hold soldiers from: World War I, World War II, Revolutionary War, Cuban War, Civil War, or Mexican War. Some historical people include: PFC Melvin Brown, a Medal of Honor recipient buried in Mahaffey, several female veterans of WW II buried in Burnside, Daniel Smith, a black civil war soldier for the 55th Massachusetts Infantry buried in Alexander, a settler from Transylvania that is laid to rest in Grampian, and 7 Revolutionary War soldiers, as well as many other veterans and family members buried in McClure. Recommended Path: Start in the northeast corner of the county and work your way west collecting geocaches near Penfield and DuBois. Head south to Luthersburg and Clearfield to catch middle county caches. Then, head south through Curwensville, Grampian, and Burnside, and finally loop back to get the rest in the southeast corner. Let the geotrails be your guide to see historical cemeteries, family friendly recreational areas, waterways that flow through the backroads, veterans memorials and forgotten locations. If you are up to the challenge, it is possible to do all four geotrails together. Explore the county to the maximum by letting the geocaches get you there. It's up to you-take it slow and explore the county over several months or make everything a quick park and grab to complete everything at once. Take your family along to make it an ultimate vacation in Clearfield County. Recommended Path: All five geotrails have geocaches near each other so it is possible to collect from each quickly. The best coordination is to collect the geocaches by traveling North-South and use Routes such as: 219, 153, 879, and 153. The major state and county routes mostly travel north and south, so use these to your advantage. Others such as I-80 and Rt. 322 can be used to get east/west quickly. Click here to download the Clearfield County GeoTrail PDF.